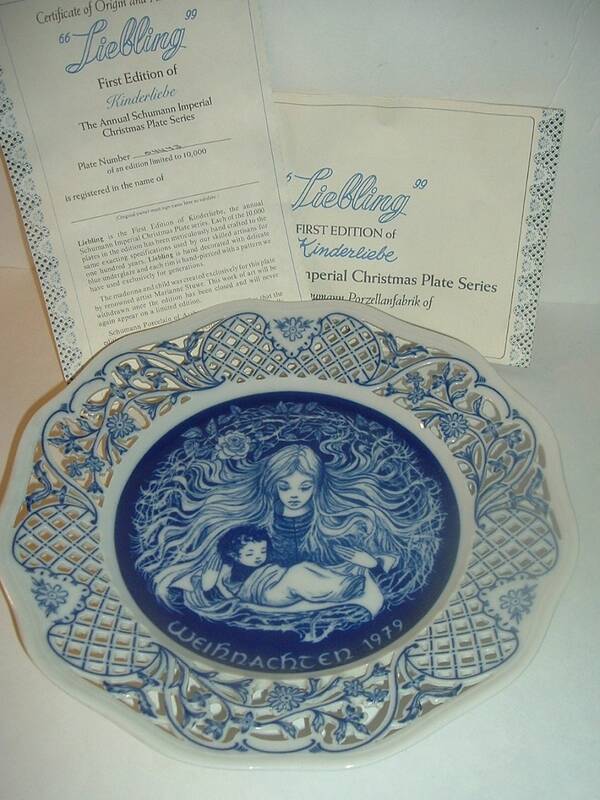 This 1979 "Liebling" plate measures approx. 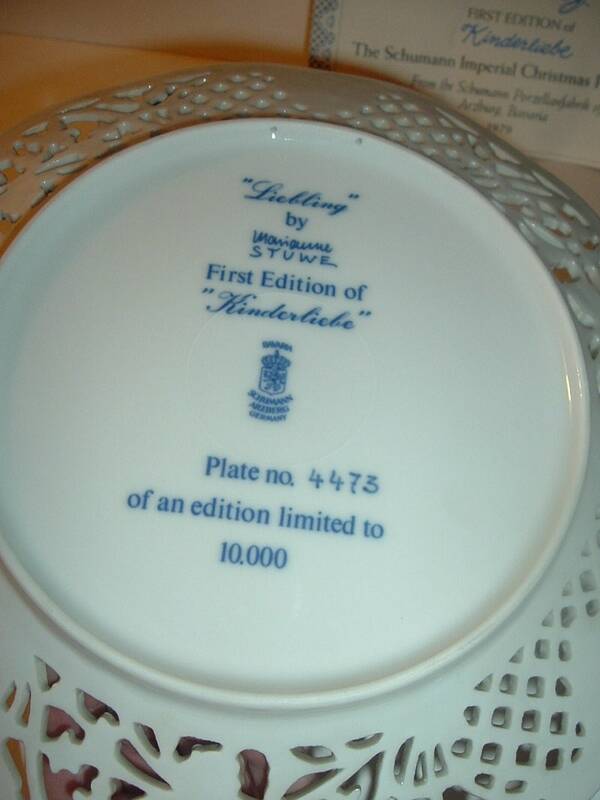 10.25" across. 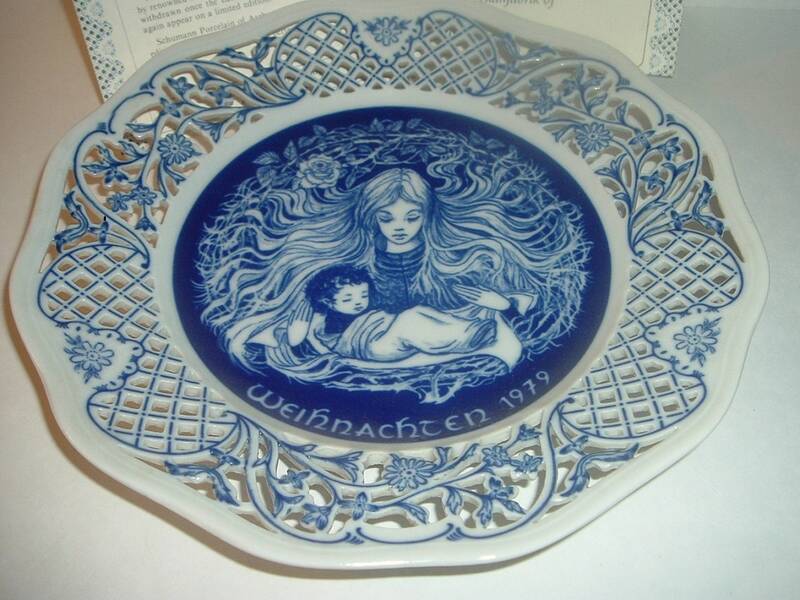 This is the first edition of Kinderliebe, The Schumann Bavaria Imperial Christmas Plate Series, and is excellent, with no chips, no cracks, and no wear or scratching. No box, but I do have the paperwork with this one. Nice! I gladly combine shipping.